Manhattan begs me to shop, and really I do try and resist. Living in Brooklyn definitely helps, but I can only hold out for so long before I am crossing the bridge to delve into the new seasons fashions, the fabrics and styles. Once every few months, or maybe twice a year, I make a trip to the city to shop for myself. 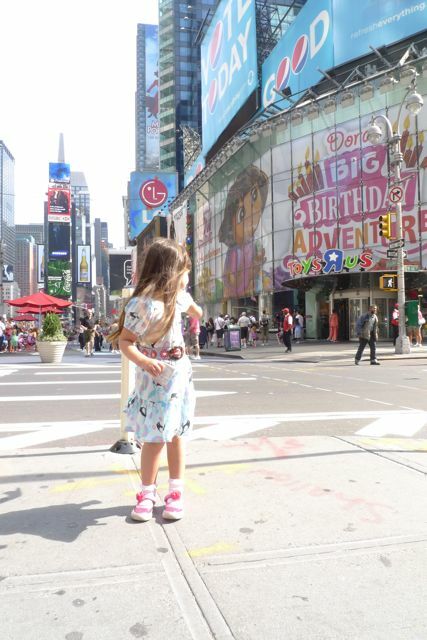 Yesterday Maya and I had a planned special Mummy and Maya day…..and we went shopping! 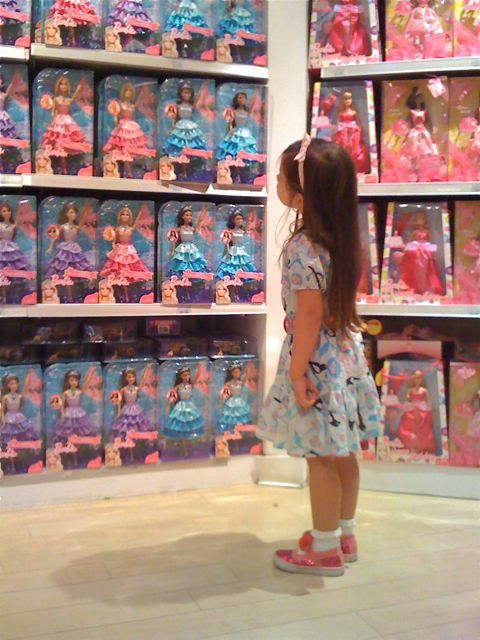 Maya had pocket money to spend and very much wanted to buy a Prince Barbie Doll so her Barbie could get married. Having wished very much for a boy Barbie as a child (and never getting one, sob sob) I was really excited to take Maya on this shopping expedition. 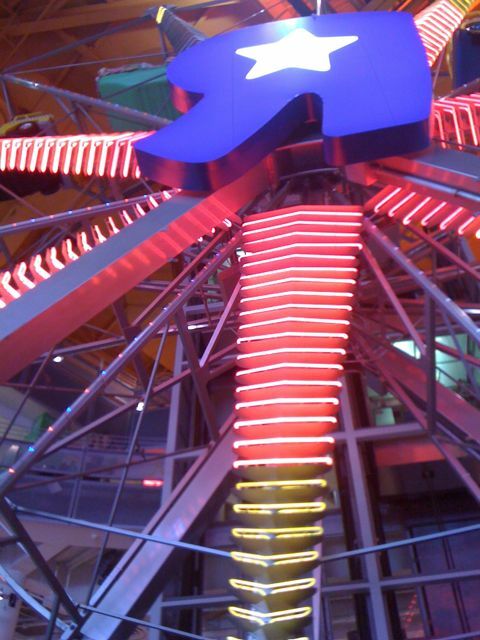 We went straight to Toys R Us on Broadway, the enormous three story store with a Ferris wheel inside. Maya chose her Prince Barbie Doll ( which was packaged with a Princess Barbie Doll) and then we rode the Ferris wheel. With two Barbies in hand, Maya was content for hours, and I mean hours, to shop with me. It was like she was under a magic spell, content to play while I was able to try on clothes! Not one complaint, it was amazing! I had a super day of browsing the latest fashions, and came home with a few fun new things for Fall. 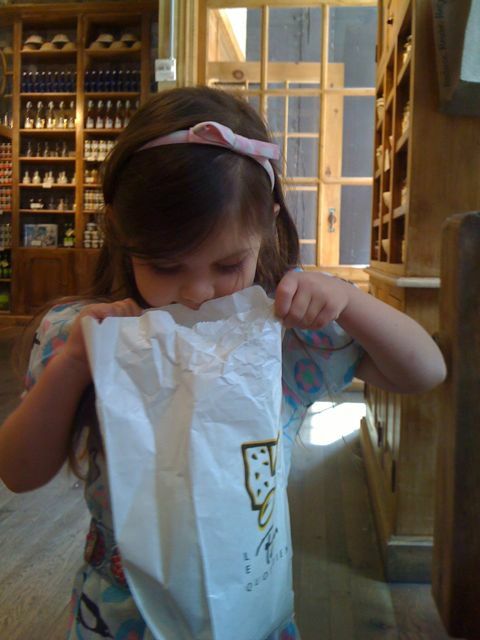 We had lunch at Le Pain Quotidien, which is one of my favorite food stops in the city. They make their beverages using organic milk so I can drink a latte in peace knowing the milk is produced hormone/antibiotic/pesticide free. Maya and I had scrumptious pastries and I enjoyed a coffee! Homeward bound with bags in hand….and would you believe, after eight hours of shopping, I came home and made a scrumptious dinner…. a hot roasted baby potato salad, sauteed sugar snap peas, broccoli and radicchio with garlic olive oil and sea salt and grilled veggie sausages with home made tomato sauce. Shopping really does give you an appetite! 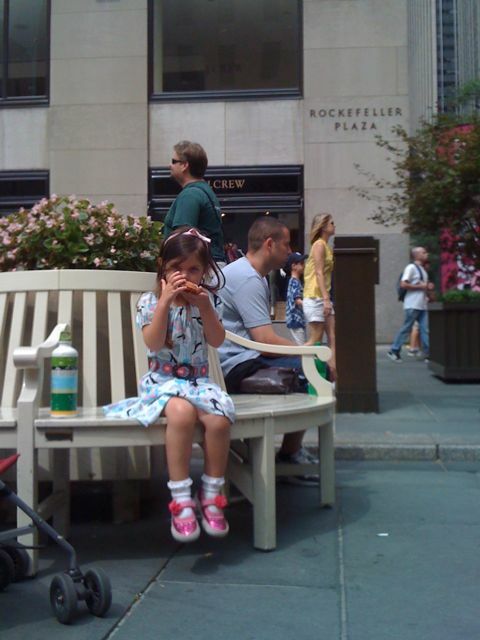 This entry was posted in V I S I T and tagged fashion, new york city.